Nemetschek Frilo and the Eurocodes! Nemetschek Frilo now offers nearly all its programs based on Eurocode. The intention of the Eurocode was to make the design consistent, and thus give the opportunity to all engineers to work across whole Europe with the same procedures. Has this goal been achieved? Certainly not from the perspective of the software manufacturer, because the variety of national adjustments leads to significant differences in details. Therefore, each program has to be checked and adopted to the national definitions. It should be noted that the new standard is composed of two parts. One part is the general Eurocode that applies without any changes to all countries. The other part is called national annex and it consists of a set of national determined parameters (NDP) and additional rules named non-contradictory complementary information (NCI) specified for each country. One additional advantage of the Eurocode is the uniform document structure - this makes it easily readable for all users. The security concept based on partial safety factors is defined in the general Eurocode and cannot be changed by national definitions. This allows uniform algorithms for the design procedures. The national annex is required to use the design procedures based on Eurocode. It is not allowed to use the general Eurocode itself without an annex. Some countries have defined a national annex with less variations, other countries have used all available freedom to adapt the Eurocode to the national preferences. 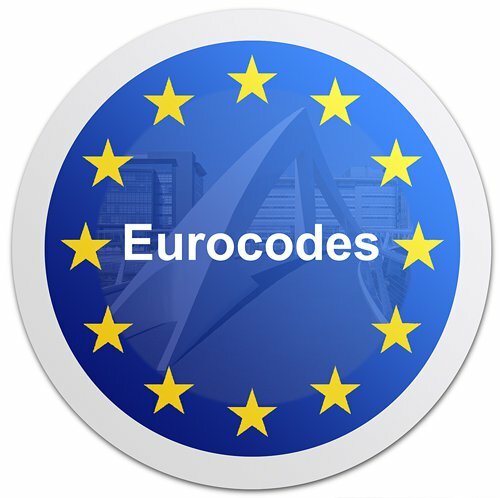 Frilo today offers the complete Eurocode for all programs for Germany and Austria. For Poland, the Netherlands, Belgium, the Czech Republic and Italy the major programs for concrete, steel, masonry and timber are also available. The Eurocode committees are working on the next generation of Eurocode to overcome most of the differences in the national annexes to come to a real unified solution, valid for all countries. One main topic of the next Eurocode generation is simplification of the design rules in order to allow the engineer to follow the results of the programs. The next generation of Eurocodes will come up in 2015/2016. It is not the intention to give simple hand-rules for the design, but it should be possible to follow the design rules by engineering knowledge. By the way, use of high sophisticated programs does not replace the engineering expert knowledge. It is always necessary to take a critical look on every result.